This black and white image of bride and groom laughing and looking at each other is one of my favorite images from this wedding. I absolutely loved photographing their connection and love. They were very much in love, it was very obvious, no doubt. For this image I used only one off camera flash as I was going for a low key tone. I only wanted light on the bride to make sure the viewer's eye is drawn to her face, nowhere else. As you can see, the focus is not on any surroundings but on the bride's face only. 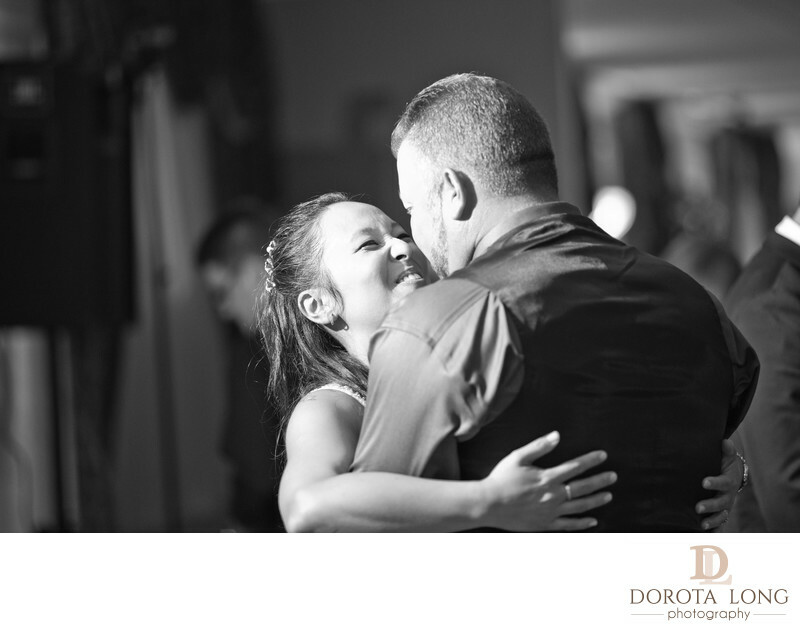 The couple was dancing and really enjoyed themselves and I was very happy when I captured this moment for them. In my photography I try to capture both posed and unposed, candid moments like this. I feel this will better tell the story and when they look at this image years from now, they will remember how much fun they had at their wedding. The have also hired me to capture other important events for their family so I feel especially fond of this image. I am so glad when I become an importnat part of someone's life, when they hire me to capture their important life events.